Hamm: Why do you stay with me? Clov: Why do you keep me? Hamm: There’s no one else. ‘Would I be unhappy if she died?’ No! Not sad. Not unhappy. Perhaps he would miss her. He did not like people to die. It was not because he liked them, but rather because he dreaded death. Things had not worked out. They were both intimidated and had the impression that at their age the gestures that they made so awkwardly were ridiculous, that they were a kind of parody. Even by Simenon’s standards The Cat is short, about 130 pages. Nevertheless, it is not without its longueurs, something that would probably be hard avoid when delineating such tedious lives. But it is worth persevering. As the novel opens out from the claustrophobia of the Bouins’ apartment, we are offered the prospect of some kind of redemption, at least for Emile. It is this glimpsed possibility that makes the denouement as bleak as anything in Beckett, or elsewhere in Simenon. No matter, it seems, how grim one’s marriage, the alternative of facing life alone is worse. It’s scarcely a question. It’s taken for granted that a gentleman doesn’t come into the Montezuma to drink a single whisky. 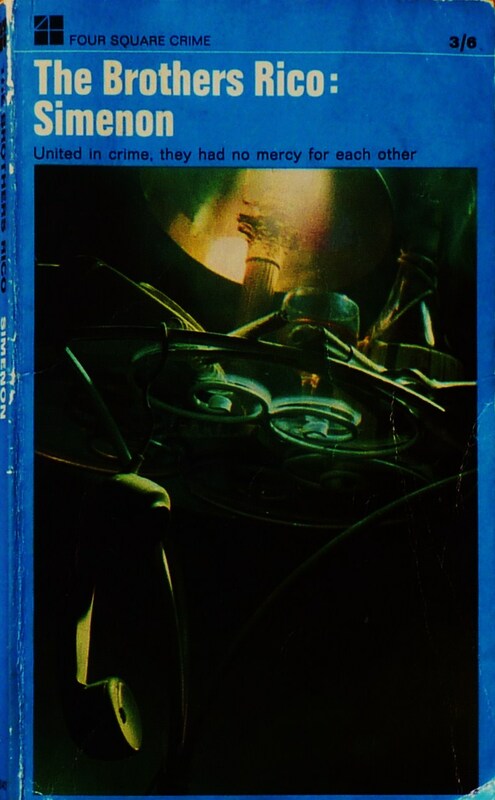 In these opening five pages Simenon sets up an intriguing premise: a wealthy, respectable man whose is unable to resist the urge to visit the ‘other’ side – symbolised very literally by the crossing of the border. The problem, with the novel, however, is that it doesn’t really follow through on this premise. It never really goes to the bottom of the bottle. PM never again visits the Montezuma bar, or crosses the border, either literally or symbolically. The urges he seems unable are never really explored. Instead when he returns to his ranch, he finds his escaped convict brother, Donald, waiting for him. Donald needs PM’s help to get to Mexico where his wife and children are waiting, but this can no longer be achieved because the annual rains have come and the river they need to cross is in spate. So PM is forced to introduce his brother into the micro-society of wealthy ranchers, who spend their days dropping into each other houses and drinking until they pass out. The fact that this scenario is, to put it mildly, contrived is not the problem. While there is the odd well-drawn pen portrait (Ashbridge’s wife, Lil Noland), the scenes at the ranches never really come to life. Donald is a forceful, unpleasant character, whom PM has always resented, and it is unclear why the reader should care either if he makes it to Mexico or if PM is caught harbouring a fugitive. 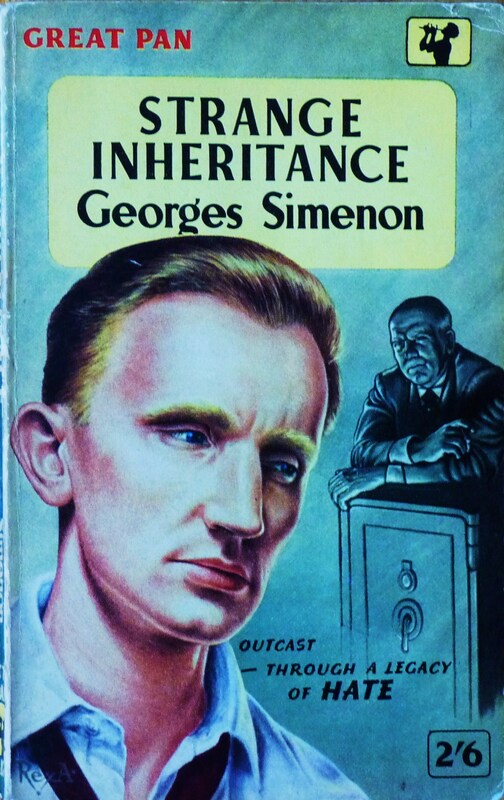 Simenon uses his scenario to explore the rivalry between the two brothers (a quite common theme in his work). Donald is the younger, but acts in a domineering, aggressive way towards PM. PM feels inadequate because he has married into his wealth, while Donald has tried to make his own way in life, scraping a living from menial jobs. If PM wants to help his brother, it not out of fraternal feelings, but to alleviate his own guilt, both for the unwarranted luxury of his surroundings and for the fact that he has not shared any of his advantages with his family. There’s nothing much wrong with any of this, only that the milieu and characterisation lack depth. Like quite a few of the author’s other American novels, it’s all a bit two-dimensional and you are left wishing Simenon had written the novel he embarked upon in the opening pages. Le Fond de la Bouteille, first published 1949. 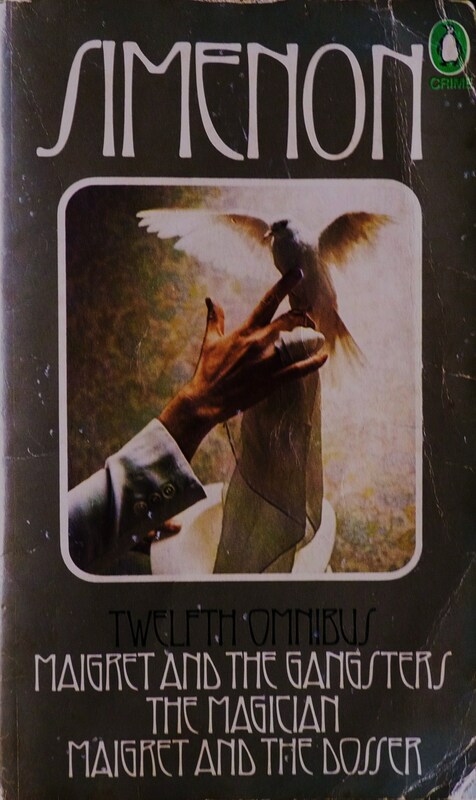 Published by Hamish Hamilton 1977, translated by Cornelia Schaeffer. A penniless orphan arrives in a small fishing port and finds he is the sole heir to the town’s business empire. A rich young man marries a factory girl, then falls in love with his uncle’s widow. A double-locked safe contains the secrets of a town’s well-heeled families. A woman is arrested on suspicion of poisoning her husband. The bored wife of a wealthy businessman has an affair with the family doctor. Any one of these plot lines would more than suffice for an entire Simenon novel, yet they are all part of the tapestry of Strange Inheritance. The cast of characters, too, is larger than most of Simenon’s books, but bigger is not necessarily better. Which is not to say that Strange Inheritance is a bad book – it isn’t – but while it is about 25% longer than the average roman dur, the extra length still isn’t sufficient to adequately explore the various narrative strands. It has the feel of a sprawling family saga, but not the stamina. It’s as if Simenon wanted to break free of his single character study formula, but not of his punishing eleven day writing schedule. But while Gilles seeks nothing more than a cheap room in the home town he has rarely seen, when it is discovered that he is the sole heir to his Uncle Octave’s fortune, he is quickly drawn into the byzantine world of the well-to-do Mauvoisin clan. [Monsieur Rinquet] was tall and flabby. More than anything else, he was dull. He belonged to . . . the race of men who derive their satisfaction in life – sometimes tinged with bitterness – from the consciousness of their own servitude to others. And with that, Rinquet’s entire existence is nailed. Simenon’s novel’s are full of such ‘little men’, both subservient and resentful, their lives often disturbed by a chance event or sudden act of rebellion. As a hotel the place had no pretensions at all, but its food had a reputation throughout the district. From the tap room came the voices of fishermen ordering their glasses of white wine. […] On the table were oysters, clams and shrimps, and a warm odour of mouclade drifted in from the kitchen. Yet, the forks were of cheap metal and the crockery chipped. […] This solemn day was really quite stupid and commonplace. In the sacristy, when in front of everybody [Gilles] had kissed his wife for the first time, he had hoped for some little quiver of her hand, a tremor of her lips, a sign of moisture in her eyes. Nothing of the sort! This has all the pathos of a scene from Madame Bovary, and it makes you wish Simenon had placed nothing more than the disintegration of Gilles’ marriage under his microscope, but, as it is, the addition of the multiple storylines only serves to muddy the waters. Taken as whole, then, Strange Inheritance is a little unsatisfying – there’s too much going on, too many characters – but the pleasures to be had along the way make it well worth reading. First published as Le voyageur de la Toussaint in 1941. Pan Books edition, translated by Geoffrey Sainsbury, 1958. The original title of The Magician was Antoine et Julie. It’s a significant change, shifting the focus from the relationship to the individual, now identified not by name but by profession. But this is very much a novel about a relationship, or rather about two relationships: firstly, that of 55-year-old Antoine to his wife, and, secondly, that of his relationship with alcohol. To be sure, there had been no decision as such. At that moment his firm resolution had been to resist … But there exists another kind of knowledge besides that one, more profound, though harder to express. This was the worst moment … when he was still clear in his mind, when he was still putting up a fight, despising himself for not having more willpower. Antoine spots a fellow drinker at the bar, well-dressed and of a similar age, his hand trembling as he clutches his glass. On his lapel is the red rosette of the Legion of Honour. The fellow is ashamed to be there and Antoine, by now full of alcohol-induced bonhomie, wishes he could give him a ‘brotherly slap’ on the back and reassure him. Later when he glances back at his cohort, he has surreptitiously removed his rosette. All this – Antoine’s self-deluding descent into inebriation; the ambience and characters of the seedy bars of the Paris night – is brilliantly evoked. Simenon reveals everything through the delineation of detail (the hard-boiled eggs, the discreet removal of the rosette) without recourse to any narrational commentary. It is writing of the highest order. Then eventually for Antoine, it is home to embark on a two hour diatribe telling the supine Julie what he really thinks of her, before spending what is left of the night buckled over the toilet bowl. And afterwards, of course, morning, when the self-loathing sets in. Julie is in poor health and rarely ventures further than the neighbourhood shops. She forgives Antoine his lapse and does what she can (makes soup) to cajole him back to himself. They tiptoe around each waiting for the moment when things are normal between them. Antoine both resents and loves Julie, or at least feels tenderly towards her. Julie for her part (although the novel is told entirely from Antoine’s point-of-view) loves and pities Antoine and is entirely dependent on him. The remainder of the novel tells the story of Antoine’s struggles to stay off the booze. In the run up to Christmas he manages thirteen dry days, but, ‘All this time he had lived a muted life, without heartbreak and without joy, which he compared to the limbo of his catechism.’ This muffled existence comes to a spectacular end. Of course, we know that Antoine will go off the rails – temptation is everywhere and he never really, truly wants to resist – but when he does so, it is in a cruel and hateful way, made all the more powerful by the fact that the following day Julie, as she always does, forgives him. Is The Magician a great novel? Certainly it is not the most gripping of Simenon’s works, but the relationship between Antoine and Julie is complex and subtly delineated. And as a novel about the corrosive nature of alcoholism, it is as good as anything I’ve read. It’s also crammed with telling observation (this being the milieu in which Simenon is at his best) and at certain moments achieves real emotional impact. So, yes, a great novel, but a minor one. How could he guess that he was to live through this scene ten times, twenty times, more times indeed than he could count? 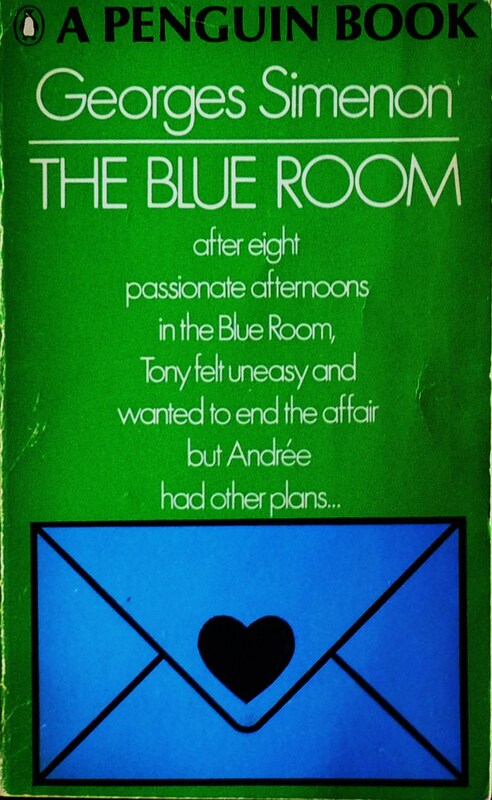 The Blue Room opens with Tony Falcone and his mistress, Andrée – ‘light-headed, their bodies still tingling’ – on a post-coital high following their monthly tryst at the Hôtel des Voyageurs. Tony is complacently dabbing at the blood which Andrée has drawn from his lip during their ‘ferocious’ love-making, unconcerned at the prospect of being questioned by his wife. The little muslin bags filled with blue powder which his mother used to dissolve in the wash-tub . . . before taking the linen into the field and spreading it out to dry on the shining grass. That must have been when he was five or six years old, and there had been a kind of magic for him in the blue that turned the linen white. Less than a page after Tony has been conveyed back to his mother’s drying green, we are projected into the novel’s future where Tony is being questioned about his actions by a psychiatrist ‘appointed by the Examining Magistrate’. And so the novel proceeds, seamlessly flitting between the past, present and future of Tony’s life. We learn that Tony is in custody, but only in the final few pages do we learn what crime he is charged with. We find out how Tony came to meet and marry his wife; how he embarked on his affair with Andrée, and how this has led him to present situation. Yet despite the juxtaposition of three distinct time periods and the fact that Simenon rarely signposts the shifts between these, the experience of reading the novel is not in the least disorienting (we’re not in Robbe-Grillet territory here). The fact that Simenon manages this with such apparent ease is a measure of his skill as a novelist. But aside from these technical aspects, does the novel amount to anything? Is it more than an exercise in craft? It was [Andrée’s] way, the minute they were inside the room, to throw aside all reserve, all modesty . . . With no other [woman] had he experienced the intensity of pleasure he had known with her; a total fulfilment, spontaneous, animal. And that, surely, would be the crowning moment of their lives, the moment when after long years of propinquity, of learning about one another, of accumulating memories . . . he and Gisèle would love one another in the fullest sense. As the novel progresses, more time is devoted to Tony’s questioning by various officials. Tony is cooperative and even enjoys the self-examination that these interrogations entail. He is pleased when he is told that the Examining Magistrate likes him. But two things are important about these scenes: first, that in the endless replaying of certain events they are remembered ‘each time in a different frame of mind, [seen] each time in a different light.’ There is no absolute truth to his recollections. And, second, as more and more witnesses are called to testify to his most trivial actions, Tony realises there is no escape from the consequences of his deeds and statements; a sentiment reflected by the structure of the novel. Aside from these qualities, Simenon provides his usual wealth of telling detail; from the dark staircase of the provincial hotel ‘with its worn treads’, to the ‘old crone in men’s shoes, who came in every day to do their housework.’ The Blue Room, then, is the work of a master craftsman at the peak of his powers. It offers a claustrophobic study of an individual trapped in the unintended consequences of his own actions, told with a mastery of form few writers could achieve. La Chambre bleue first published in 1964. Penguin edition, translated by Eileen Ellenbogen, 1968. Currently available (in a new translation) as a Penguin modern classic. [*] The nil plus ultra of this tendency is perhaps The Cat (1967). In their most passionate moments . . . her body was taught and quivering like a stretched wire, her pupils rigid as a sleepwalkers. One Way Out tells the story of a doomed relationship between Bachelin, a hot-headed young clerk, and Juliette, the seventeen-year-old daughter of a comfortably bourgeois cashier in the provincial town of Nevers. For a moment it struck her how easy it would be to have done with it and throw herself into the glimmering darkness of the river . . . Suddenly a feeling came to her of the absurdity of the life she was now leading. And for once she gazed with real interest at the faces of the people passing by her . . . Was it possible that any of these men and women had lives resembling hers – at once so drab and so grotesque . . . What was the sense, if any, of her life? . . . She was not in a tragic or even despondent mood. All she felt was an enormous inanition; she went on walking because there was nothing else to do. It’s a classic description of existential alienation. The novel was written in 1934, eight years before Camus published his essay on the absurd, The Myth of Sisyphus, but the use of the word ‘absurdity’ (italicised in the original) is telling. 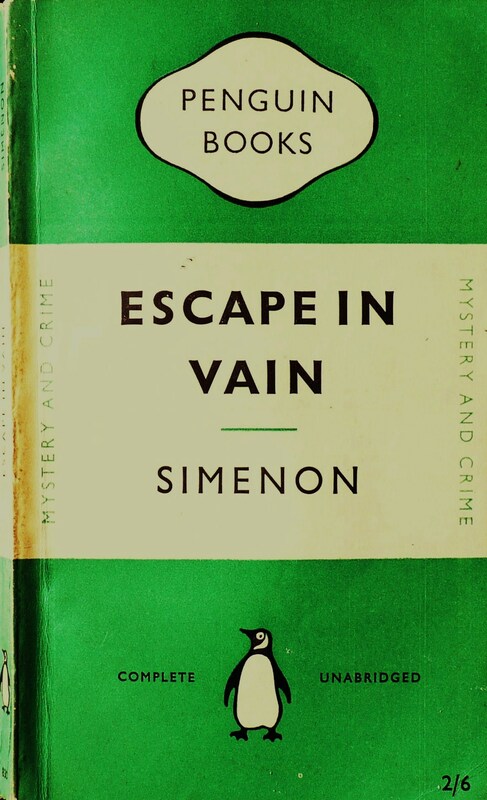 Simenon was not one for indulging in abstract authorial interventions. In general he describes the actions or thoughts of his characters and allows the reader to draw his or her own conclusions. But here he appears to be leading the reader in a certain interpretive direction. Juliette has reached her situation in life without having made any decisions, without the exercise of any free will. She has simply followed the diktats, first of her father and then of Bachelin. Her existence is entirely meaningless and arbitrary. If she continues walking, it is because the only alternative is suicide. If the English title hints at what is to come, the original French – Les Suicidés – is even more explicit. 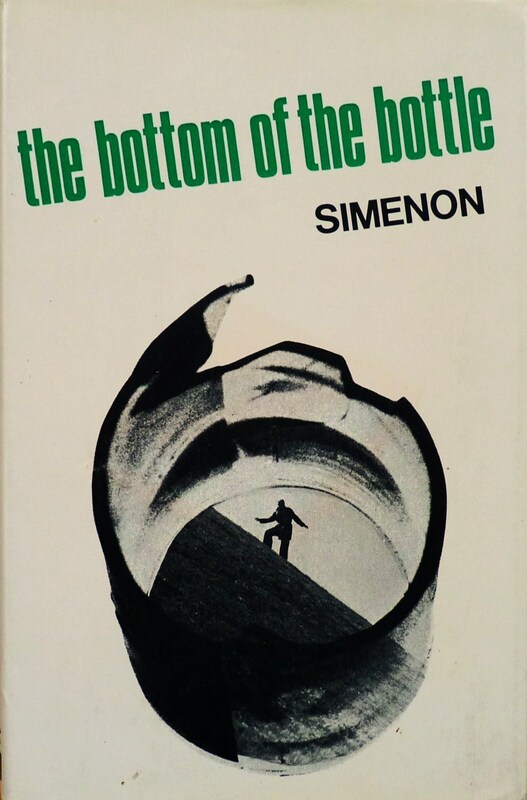 In choosing such a title, Simenon demonstrates that he is more interested in drawing our attention to the inevitability of the outcome than in creating any narrative tension. Yet despite his efforts, the climax of the novel in unbearably tense and when it comes, the denouement (at least in Stuart Gilbert’s translation) is highly ambiguous. One Way Out represents Simenon at his most serious. The characters are unsympathetic and there is little in the way of narrative pleasure; instead it offers a commentary on the arbitrary nature of how we end up where we end up. Les Suicidés first published 1934. Published by Penguin along with The Lodger in the volume Escape in Vain, 1952. Translated by Stuart Gilbert.